Boom, bang-a-bang, break a skull. Or a dozen. The angry young woman out here grabs a potted plant, smashes it on one of those mutton-headed cutlets and she’s also prone to warn, “Oh ho, why did you make the mistake of messing with me? Now you’ve had your chips.” Or words to that effect. The main defect with Akira directed by the Ghajiniwala A R Murugadoss, is that it just doesn’t have an even remotely original story. Heave and ho Murugadoss gaaru elects to source Mouna Guru (The Silent Teacher, 2011) directed by Santha Kumar. That Tamil film by the way went hammers and tongs, discourtesy an oppressed young man who’s wronged by everyone right down from his dysfunctional family and the campus crowdies to a cop straight out of the deepest catacombs of Hell. More: the oppressed was even treated to a stint in a mental asylum. No khushi, only glum. For some mysterious reason, Murugadoss gaaru has opted for a gender switch for the remake. 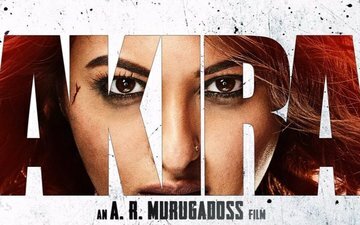 Intense Hero Arulnidhi of Mouna Garu has been transformed into the Terribly Tense Heroine Sonakshi Sinha. If the intention was to go woman-centric and assert that what a steely man can do, a steelier woman can do better, three cheers for that! Still for those who have seen the original, this remix merely amounts to a token nod towards Woman Shakti. Moreover, Bollywood’s litany of zakhmi aurats have gone through bashing up the goonies a hazaar times over. Anyway to cut to the clichéd chase, there you are with Lady Angry (Ms Sinha) who shifts from Jodhpur to bad ‘ole Mumbai. Next: it’s raining calamities. In the college canteen, she can’t sup on her vegetarian thaali in peace. During a protest outbreak, she sits pretty on the road. Plus, she unwittingly gets involved in a dastardly crime perpetrated by wolves in sheep’s khaki clothing. Knock, knock. Who’s this wolf pack anyway? No free cola-‘n’-popcorn coupons for guessing that they’re the law-keepers themselves, helmed by a venal, drugged-out police officer (Anurag Kashyap, baap re baap). In stark contrast, there’s an upright woman cop (Konkona Sen Sharma, competent as ever), who’s in her final months of pregnancy. Any resemblance to the Oscar-winning role of a mum-to-be police officer by Frances McDormand in Fargo (1996), you guess is purely coincidental. Admittedly, the tempo moves at a fast clip at the outset. Post interval though, Akira, which by the way means ‘graceful strength’, turns out to be a downhill racer. The exhibition of grief endured by Lady Angry is by no means brief. Going yawn and yawn endlessly, you snore through the compulsory interludes of horrifying fake encounters and sufferance of every conceivable form (read guns, fists, jaw bashing, flourishes of martial arts), the only departure being the aforecited potted plant smasheroo. Oooh. In case, you think Lady Gussa is devoid of any human emotion, the script ensures that her heart goes out to the few good people left in the world. The finale of Mouna Guru was a diabetic sugar pill to swallow. Ditto the resolution in Akira. Yet the original was directed with a grungy, quasi-realistic feel. This one isn’t. Stylistically, the effort is to be slick-chic which is ruinous, especially vis-à-vis the impact of Sonakshi Sinha’s performance. Sure, her hair covers her face messily during moments of high stress. However, her crisply ironed ethnic outfits and cosmeticised look convey the impression that she has just stepped out of a studio’s vanity van. Ah, but that can’t be helped perhaps in a Bollywood product, can it? 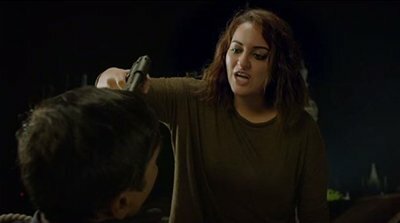 Undeniably, Sonakshi is the film’s backbone and strives to be as kickass as is humanly possible. She’s impressive and physically rigorous. As for Anurag Kashyap, equipped with a diabolical grin and a factory full of weedy cigarettes, he does ooze oodles of menace effectively. Oddly perhaps, Murugadoss gaaru’s ode to blood-curdling violence, willy-nilly reminds you at points of Ram Gopal Varma’s Shiva (1990), in which a college student played by Nagarjuna had to combat with catastrophes on and off the campus. The point is that a quarter of a century after Shiva, earnest college students are still beset by posses of bozos and beasts. So how about telling us what we don’t already know please?  Bottomwhine: Unless you’re in the mood to watch Sonakshi Sinha doing her Action Jackson number, you will be forgiven for taking off for a long walk in a park, the beachside, anywhere but to a multiplex. That’ll be easier on the nerves.